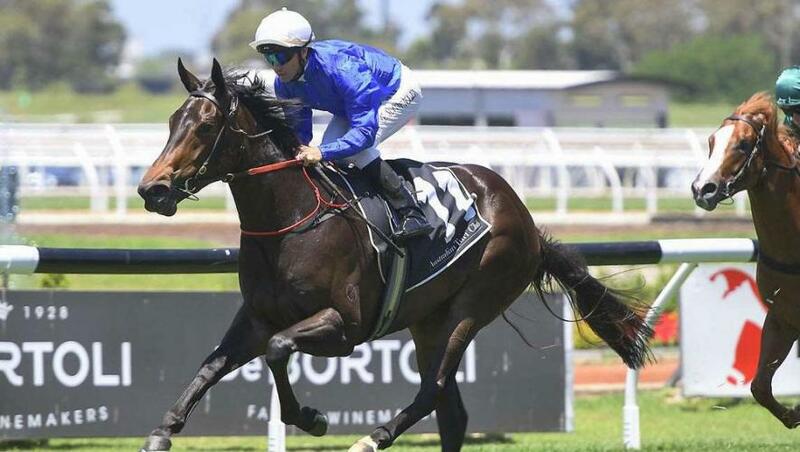 The final opportunity to stake G1 Blue Diamond Stakes’ claims is presented to the Godolphin youngsters Auxin and Athiri at Saturday’s Caulfield meeting, while in Sydney the filly Avon River appears in the best juvenile field assembled this season. Auxin (Dwayne Dunn) runs in the G3 Blue Diamond Prelude for colts and geldings with the stable hoping the 1,100m trip will draw the best from the colt. “He should relish the step up to 1,100m,” trainer James Cummings said. Auxin also has the benefit of experience at Caulfield where he finished fourth two weeks ago behind I Am Immortal. At his only other start the son of Exceed And Excel was less than a length away when third to stablemate Microphone at Flemington. In the G2 Blue Diamond Prelude for fillies, Athiri (James McDonald) appears for the first time since her debut defeat of the highly-rated Accession in early December. Accession (Brazen Beau) has won her two starts since and is ranked among the top few juveniles in training. Cummings is anticipating a strong showing from his daughter of Lonhro who impressed in a reconnaissance gallop at Caulfield this week. “I feel that she’s set for a good, solid return in what is a very deep two-year-old race,” he said. Lyre (Anthony Freedman/Damian Lane) is a contender in the fillies division, having shown good improvement to win a Sale 2YO maiden at her second start. At Warwick Farm in Sydney, Avon River (Glyn Schofield) meets a field that includes Accession and another leading G1 Golden Slipper candidate, Dawn Passage (Dawn Approach) in the A$2 million Listed (Restricted) Inglis Millenium. Avon River had been runner-up at her first two starts before finishing fifth behind stablemate Amercement at Rosehill last Saturday. “This is a strong field of two-year-olds but we’re pleased with her and we’re happy to back her up from last Saturday over a little more distance,” Cummings said.